Ñame White is also similar to a yam in appearance and a potato in flavor. 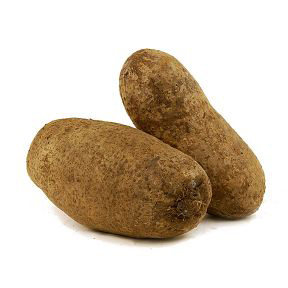 It is a root commonly used in tropical countries, much like the potato is used in temperate climates regions. One interesting fact is that Americans use the word “yam” to refer to a sweet, moist, orange-fleshed variety of sweet potato. To everyone else in the world, a yam is what Americans call a tropical yam, ñame, a firm tuber with white flesh. Names: ñame, Nyami, Tropical Yam, True Yam, Greater Yam, Cush-Cush, Mapuey. Source: Caribbean, Central America, South America and the United States (South Florida). Handling: Stored at approximately 55°F in relatively dry environment. Varieties: Ñame Diamante and Ñame Blanco.